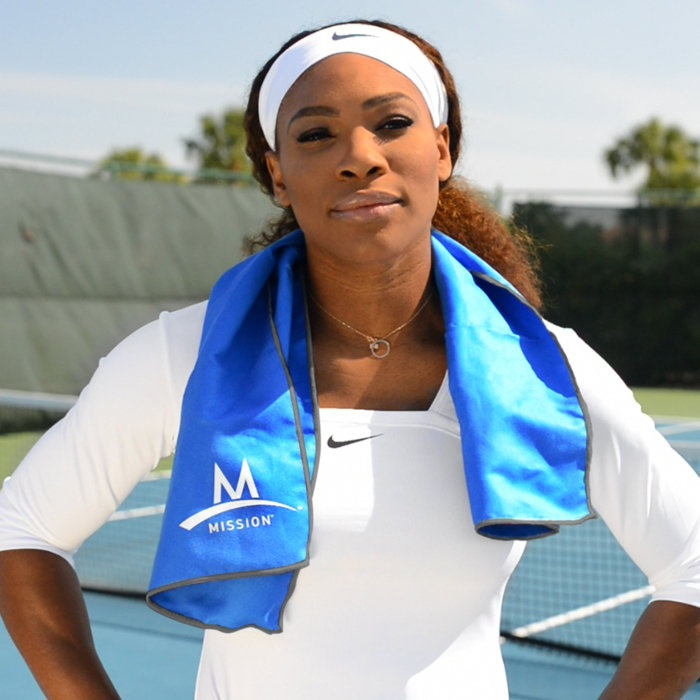 The Mission HydroActive Original Cooling Towel was initially engineered for elite athletes to help them keep cool during high-intensity training or competition. By helping to maintain an optimal core body temperature, it allows the athlete to redirect their energy towards maximizing performance. When activated, the soft, durable fabric cools down to 30 degrees below your average body temperature and provides a cooling effect for up to 2 hours. Just wet, wring and snap to activate the towels proprietary cooling technology. Re-wet and re-snap when the cooling effect wears off as often as necessary to stay cool as long as you need. The proprietary cooling technology works by absorbing moisture and perspiration into the fabric core where the unique radiator-like fiber construction circulates water molecules and regulates the rate of evaporation to create a prolonged cooling effect. 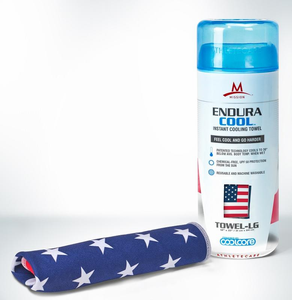 Towel Dimensions: 12.25" x 33"
UPF 50 protection against the harmful rays of the sun; dimensions 10" x 33"
Mission Enduracool is made from a proprietary performance fabric that instantly cools when wet with water or sweat, wrung out and snapped in the air to activate the sustained cooling properties. Use during or after competition to provide sustained cooling on your neck, head or other hot zones. 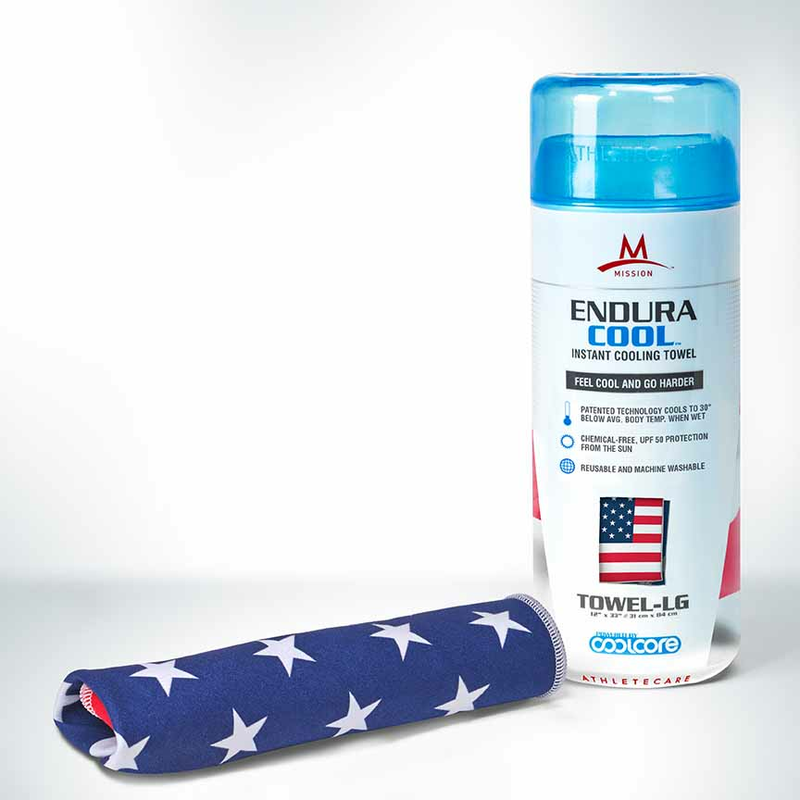 When not activated for cooling, the lightweight towel wipes away water and sweat, providing a great way to keep dry during an intense workout. Best one by far, AMERICA! I wear this as just a bandana and the cooling part is just a bonus.